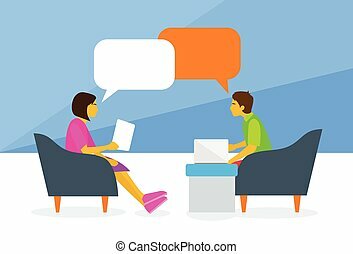 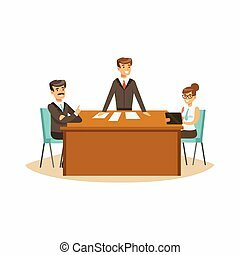 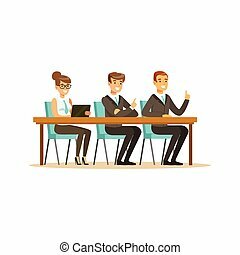 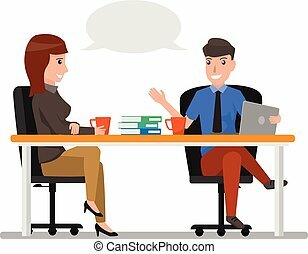 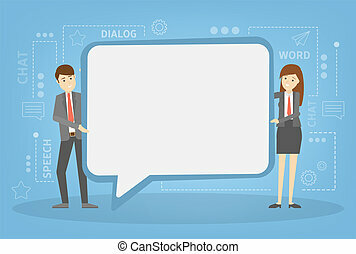 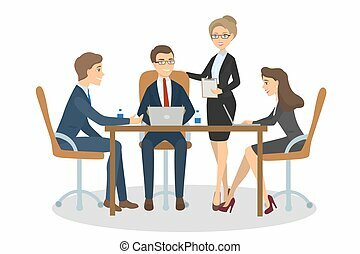 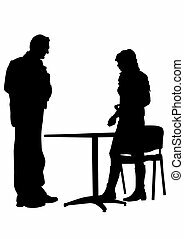 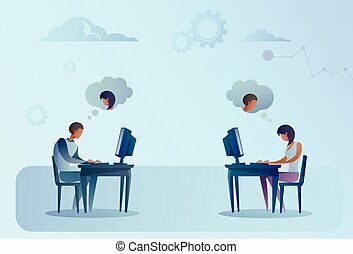 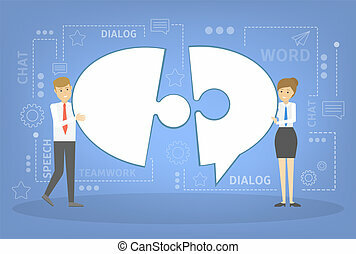 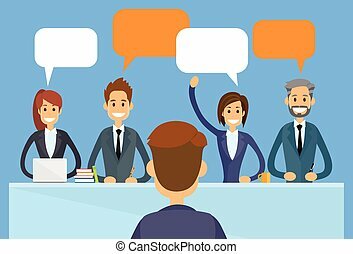 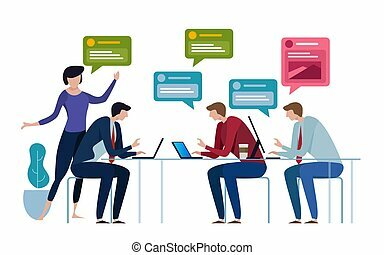 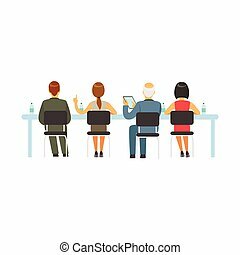 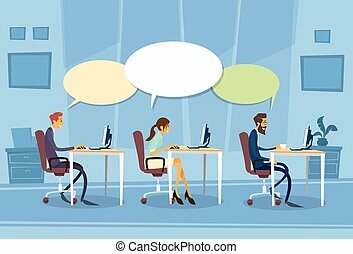 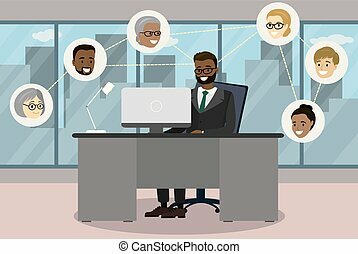 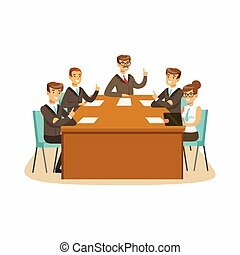 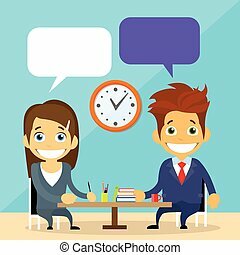 Business people man and woman talking discussing communication sitting at office desk bubble chat box vector illustration. 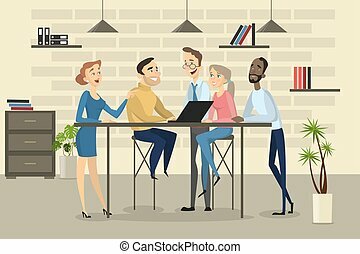 People at business meeting working together on white. 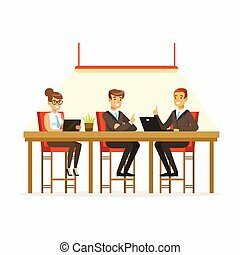 Brainstorm at office. 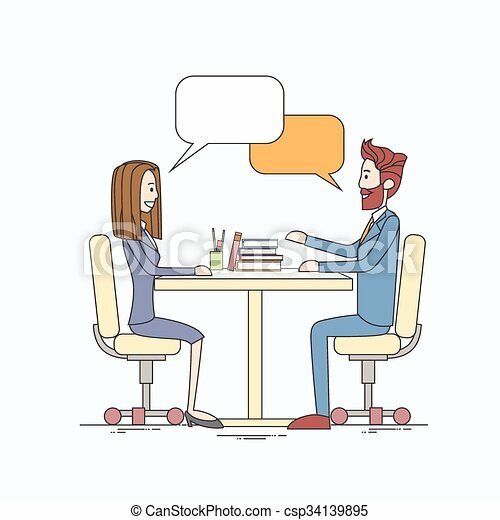 Men and women sitting at the table and discussing. 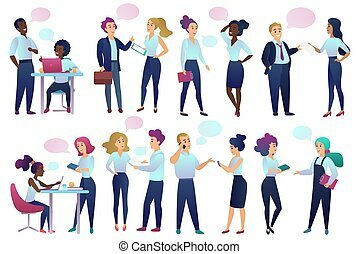 Iconic people. 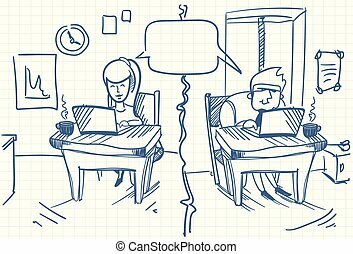 Man and woman are exchanging messages while sitting at a table with a laptop.